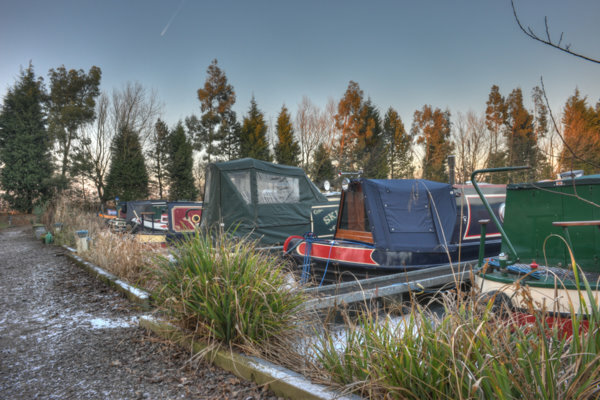 We are a friendly, family run Marina and have a large selection of new & used Narrowboats for you to view on site. Whether you’re a first time buyer or a seasoned sailor we may just have the right boat for you……Come and visit us to have a look! 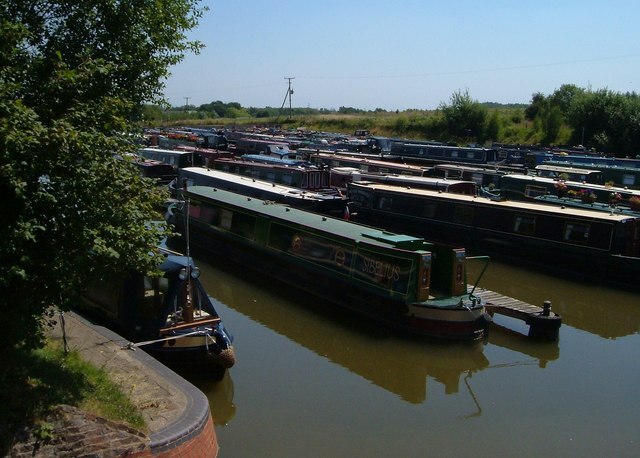 Set among 44 acres of rolling Warwickshire countryside, Brinklow Marina offers a modern fully serviced mooring in a prime canal location. 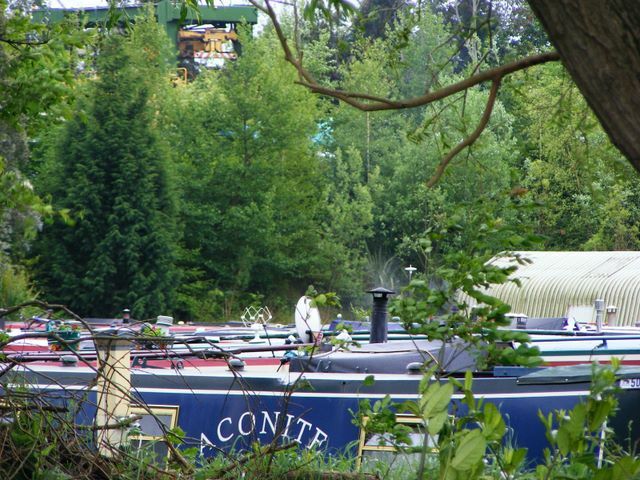 Relax and enjoy the carefully landscaped grounds in harmony with the stunning views, or cruise off and take advantage of the leafy North/South corridor that is the Oxford Canal. Welcome to the website of Marine Services (Chirk) Ltd, we are a family run business operating two inland waterway marinas. 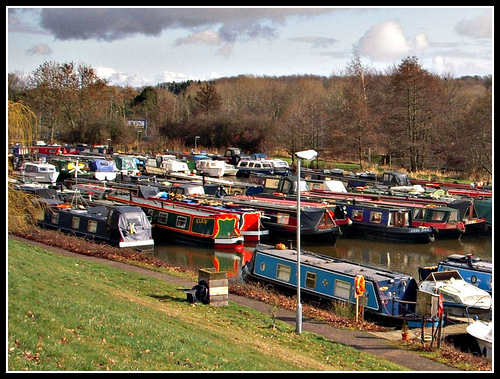 Chirk Marina on the beautiful Llangollen Canal is situated in the middle of the 11 mile canal corridor granted World Heritage status by U.N.E.S.C.O. in July 2009, only the third site in Wales to achieve this status and putting it on an equal footing with such iconic structures as the Taj Mahal and Statue of Liberty. 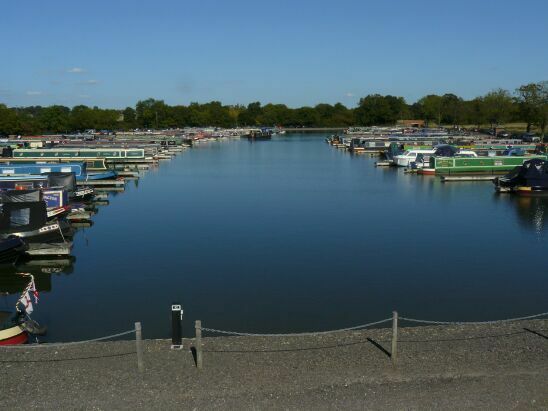 At Chirk Marina we offer a wide range of boatyard services including moorings and boat sales. We are also excited to offer a prestigious new hire boat holiday fleet, Crest Narrowboats, who will be hiring out of Chirk Marina and our sister Marina at Festival Park from March 2010. 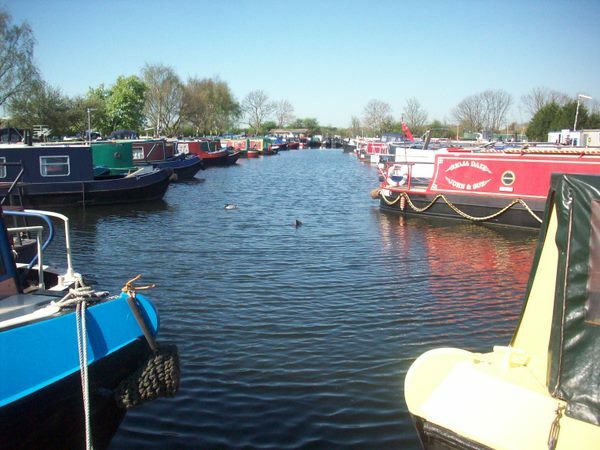 Festival Park Marina Etruria in the middle of the historic Potteries offers you no less a choice of history and dramatic scenery situated, as it is, on Brindley’s Trent & Mersey Canal. 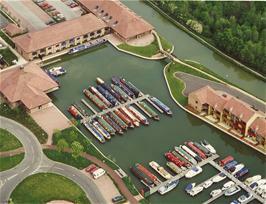 And again we offer a host of services from this ideally situated Marina. We are a family run business that has been operating at Debdale Wharf Since 1974. 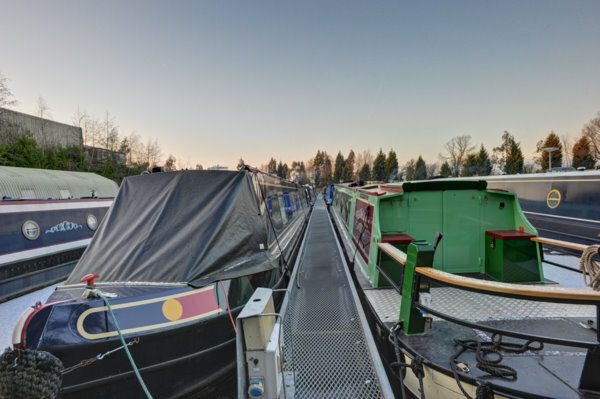 The narrowboat marina is set in 25 acres of quiet, secluded, rural countryside 25 minutes cruising from Foxton Locks, on the Leicester section of the Grand Union Canal with 14 miles of lock free cruising. The marina has grown over the years to its present size, and can now accommodate approx 150 berths on secure, straight, linear style staging made of galvanised steel. In addition to the water berths, we also have a large hardstanding area with electricity and water points nearby. 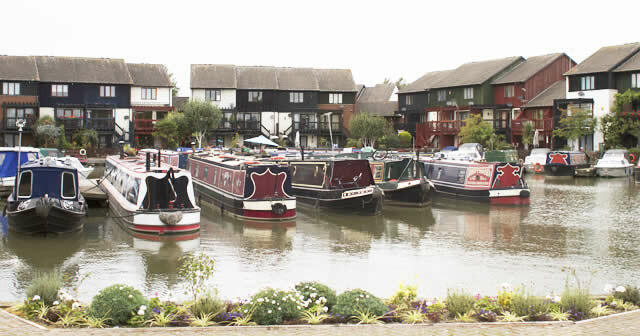 We offer marina moorings, in a linear style, for any size Narrow Boat, as well as all the usual immediate services of Electricity to all moorers i.e. 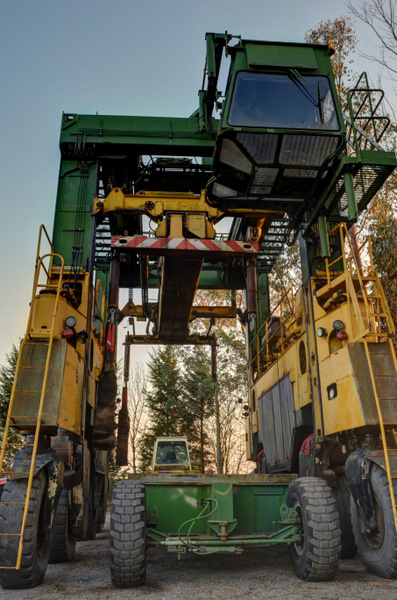 Water points, Calor, Coal, Diesel, Pumpout facilities; we also have experienced engineers and joiners that can see to any servicing or maintenance issues. This can be anything from yearly engine services to full fit outs, as well as everything in between. We also specialise in electric propulsion. We are very proud of our Blacking facilities. Our static gantry has the ability to lift and safely secure a boat to above head height in order for bases to be blacked. Boats are then lowered onto sleepers for the sides to be accessed comfortably. It is fallacy to say that boats’ bases are kept clean by scraping the bottom of the cut, pitting is a huge potential problem that can be kept in check with regular blacking thus lengthening the life of the base plate considerably. We can take the hard work away from owners and black boats during the week to suit their cruising schedules or alternatively DIY weekends can be booked. Grit blasting is available also. Another recent addition is our hard standing area. This extensive area can offer electricity to those who need it to carry out work ashore. For those who are intending to carry out longer term fit out ashore, we can offer the hire of a container that would be alongside the boat and can act as a workshop. Hire of many useful tools is also available. We use a 40 tonne travel hoist that transports the boats safely to their hard standing spot. Some of our customers use our hard standing for winter storage, which enables them to carry out winter maintenance at their convenience. They then go back into the water for their summer cruising. And it doesn’t stop there! We are currently in the process of constructing a new building that will enable boats to come undercover for blacking, painting and/or maintenance work. We hope to have this facility up and running for next year. I visited Debdale Wharf marina a month ago now. I should have written this review while it was still fresh in my mind. I thought I had time. I visited owner Nick Goode seven days before I was due to go on holiday for a fortnight. Unfortunately I had a problem with my visa which I only managed to resolve at the eleventh hour (actually, 24 hours before the flight) I wasn’t able to add this information to the site. I’ll do my best though. I arranged to visit the marina after two very positive comments (below) by site subscribers. I asked Alan who made the initial comment to talk to Nicky to see if she was interested in spending an hour or so with me to show me the site. Nicky was interested and she was incredibly helpful from the moment I arrived. 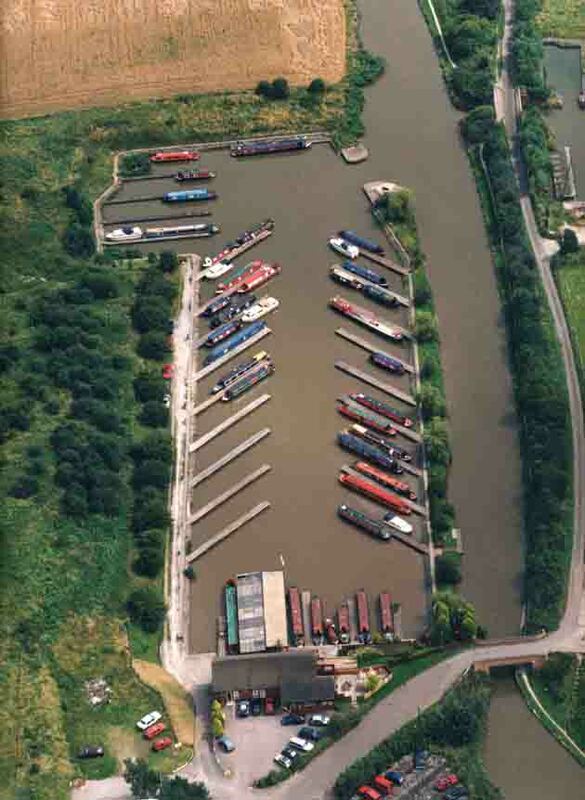 The marina is located about 10 miles south east of Leicester on the Leicester section of the Grand Union canal roughly half an hour’s cruise from Foxton Locks. 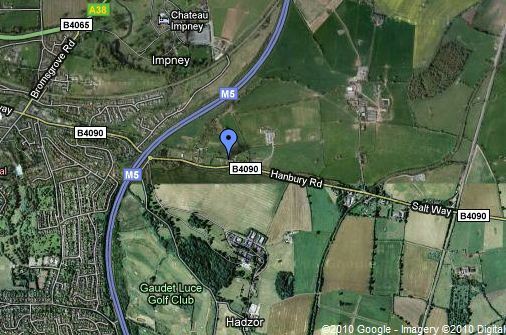 There are several ways to reach the marina by road but the most direct route, and the one I took, is via the busy A6 running from Leicester to Market Harborough. As soon as you turn off the A6, you are on a single track gated road. I liked this. Getting in and out of the car to open and close three of four gates before reaching the marina can be viewed as a bit of a pain. However, I always think of gated roads as very rural, peaceful and quiet. The road helped to separate me mentally from the busy A6 so by the time I reached the marina I was in a very good frame of mind. Nicky Goode enhanced that feeling. She gives the impression of a very kind, caring and accommodating marina owner. After a chat and a leisurely cup of coffee she gave me a guided tour of the site. I have to say, if you are looking for a mooring based purely on aesthetics, Debdale Wharf probably isn’t for you. There are acres and acres of hardstanding adjacent to the marina. There are dozens of boats stored on the original hardstanding and a huge open space that has been developed to accommodate more boats. The storage is popular with boat owners who cruise infrequently and who want a cheaper option than in-the-water moornings. The hardstanding is also available for boat owners who want to work on their boats while it is out of the water. 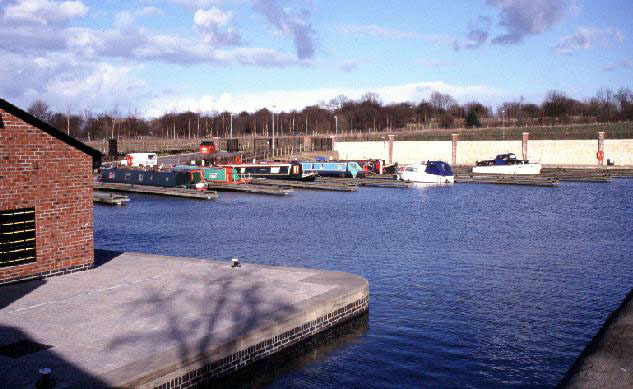 There’s space at Debdale Wharf for up to 150 boats but the moorings are very close together. You need to do a bit of shoehorning to squeeze your boat in and probably need a little co-operation from your neighbour. That’s the negatives out of the way. On a positive note, and my feelings where overwhelmingly positive about the marina, the facilities here are second to none. There’s a full time professional and highly respected painter on site, expert marine engineers and a highly skilled carpenter. Without exception, every member of staff I met here was extremely friendly. This is a very important consideration if you expect to spend extended periods on your mooring. Miserable marina staff can be a real pain in the neck. If you like doing your own alterations and maintenance, the site has all the facilities you could ask for. You can work on you boat out of the water on the hardstanding or in the water in an area away from other moorings so you can hammer and saw away to your heart’s content. And once you’ve finished with your repairs and maintenance, you can black your own boat too. Of course if you want to leave all the hard work to the professionals, they’ll be more than glad to help. Debdale Wharf don’t fit out many boats but they had one under cover that they’ve been working on for the last twelve months. 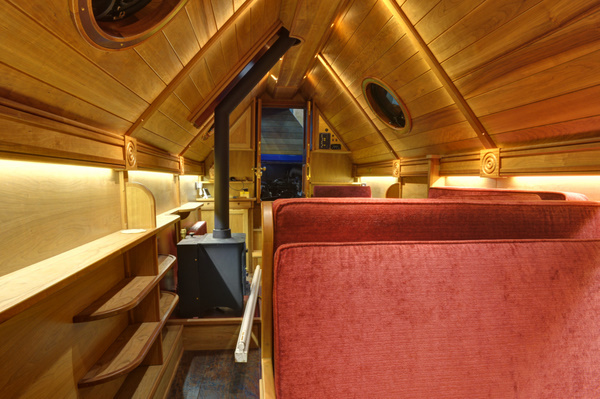 It’s an old working boat on the outside and a super luxurious floating home with superb quality woodwork on the inside. True craftsmanship. I said that the moorings are close together. They are. But the residential moorings, although still very close together, have a very tranquil feel about them. The marina landscaping was done by Mike Goode’s father forty years ago. The landscaping has matured now and has been further enhanced by nature loving moorers. There are bird feeders, and consequently birds, everywhere. Even though the marina isn’t the prettiest on the world, it may well be the friendliest. So if you like the sound of a really friendly marina with more facilities than you can shake a stick at, you need to pay Nicky and Mike Goode a visit. Be warned though, moorings are secured by invitation only. If Nicky doesn’t think you’ll get on with the rest of the moorers, you don’t stand a chance!